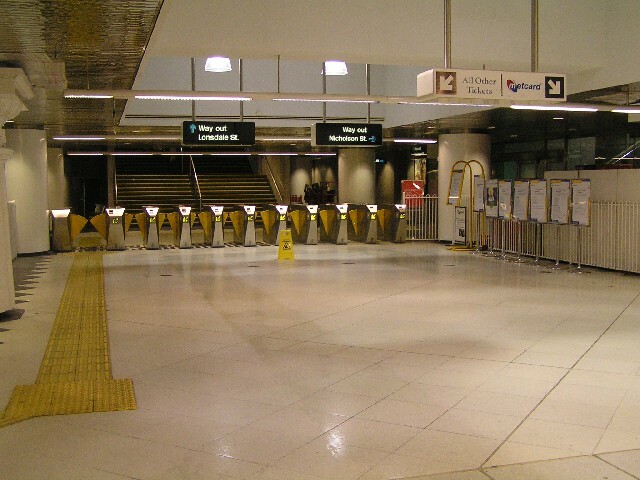 Parliament Station was the second of the underground City Loop Stations to open in 1983. Of all the underground stations, Parliament is the one located furthest below surface level. It has similar architecture to Flagstaff Station at the platform level with walls separating adjacent platforms. Located adjacent to Parliament House, the parliament theme is reflected in the station architecture with photographs of the parliamentary buildings located amongst the banks of escalators. Blue panelling is provided within the concourse and at platform level, while large column edifices are decorated around the station. There are five main access points to Parliament Station from street level with two separate concourses. The main concourse is located at the southern end with access points to street level near the Spring Street/Bourke Street intersection, between Collins Street and Little Collins Street on the west side of Spring Street and on the east side of Spring Street opposite Little Collins Street. The concourse is accessed from these points via a series of steps and walkways. The Station Master's office is located within this concourse. 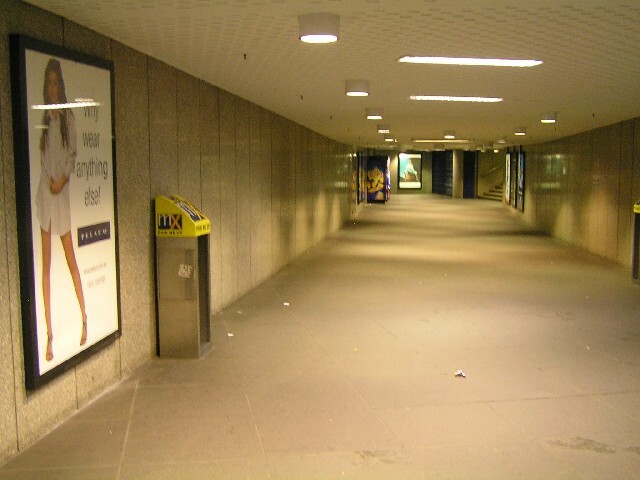 A separate concourse is located at the northern end of the station with two access points located in the trapazoidal block surrounded by Lonsdale Street, Spring Street, Little Bourke Street and Nicholson Street. Lift access is available to this concourse from street level. 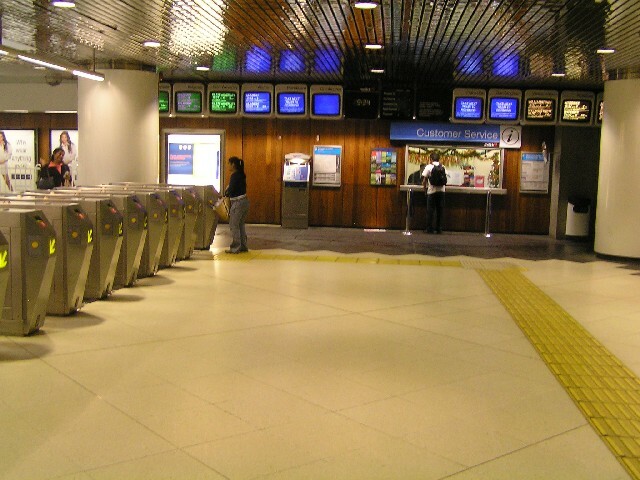 Each concourse contains separate ticket booking offices and ticket barriers. Escalators go down from each concourse firstly to the upper platforms and then to the lower platforms.